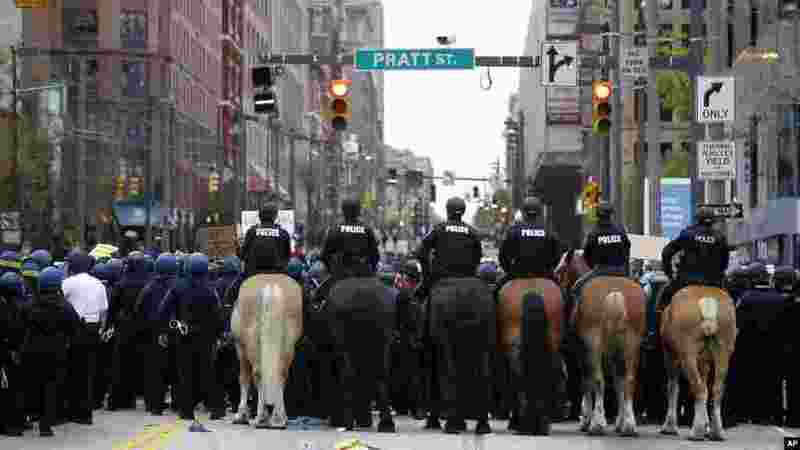 Thousands of people marched peacefully through downtown Baltimore on Saturday to protest the unexplained death of the 25-year-old black man in police custody but pockets of violence erupted when a small group smashed windows and threw bottles at officers. 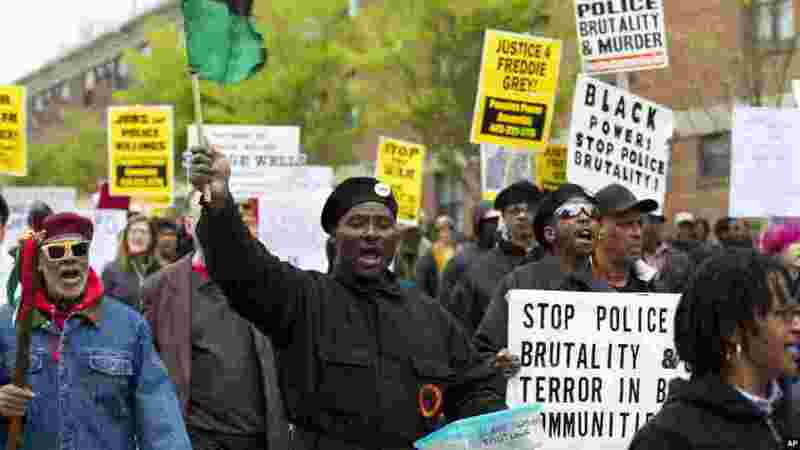 1 Demonstrators protest in the streets as they march for Freddie Gray to Baltimore's City Hall, in Baltimore, April 25, 2015. 2 Police attempt to block marchers as they block Pratt Street after a march to City Hall for Freddie Gray, in Baltimore, April 25, 2015. 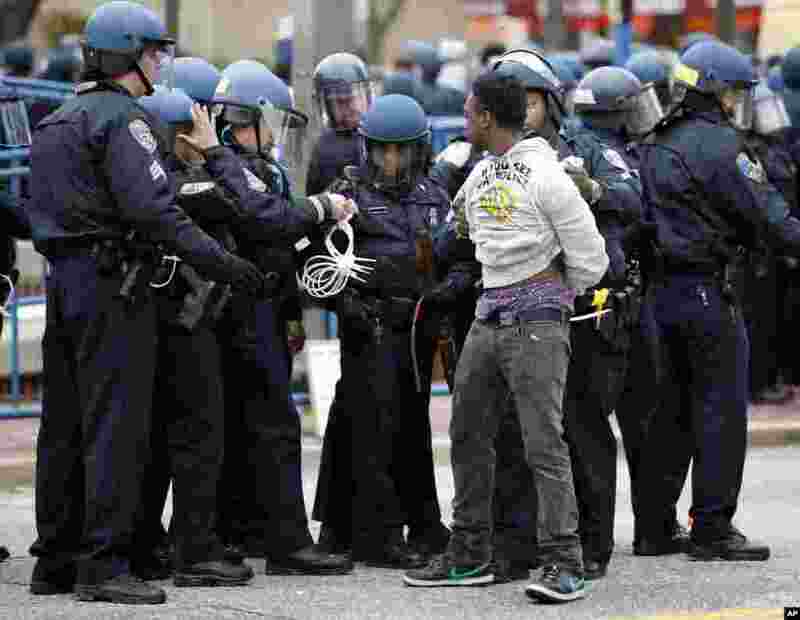 3 Police detain a man after a march to City Hall for Freddie Gray, in Baltimore, April 25, 2015. 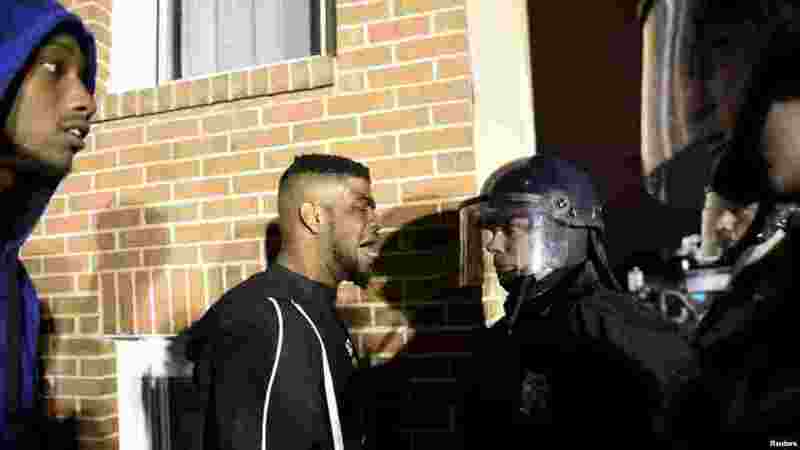 4 Demonstrators confront law enforcement officers near Baltimore Police Department Western District to protest against the death of Freddie Gray in police custody, in Baltimore, April 25, 2015.